"A big, square sumptuous art book . . . The text is authoritative and the color plates are ravishing." This book traces the rich history of the northern Italian city of Mantua from its mythic origins described in Dante's Inferno to its cultural heyday during the Renaissance (under the patronage of the powerful Gonzaga family), and to its eventual decline and annexation by the Austro-Hungarian Empire. The fortunes of Mantua rose and fell with those of the Gonzaga family, who ruled as imperial vicars from the fourteenth to the early eighteenth century. They transformed the city into a major cultural center by commissioning works from the master architects and artists of the day, such as Leon Battista Alberti, Giulio Romano, Titian, Rubens, and Guercino. However, Andrea Mantegnawho served as the court painter from 1460 to 1506 and whose technical mastery revolutionized paintingis the artist most identified with the city. Although most of Mantua's artistic treasures were sold or claimed as war spoils upon the decline of the Gonzaga family, the rich cultural legacy of this fascinating city lives on in the city's many surviving frescoes and in the collections of some of the world's premier museums. 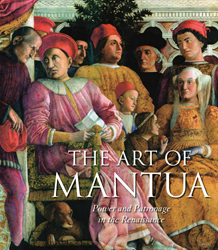 The Art of Mantua reunites this important body of work. Barbara Furlotti has collaborated on numerous research projects and publications on sixteenth- and seventeenth-century Italian art. Guido Rebecchini teaches at the University of Siena and has contributed to numerous publications on sixteenth-century art in Rome and Mantua.